Enda Kenny will be entitled to a lump-sum payment of €100k, as well as an annual pension of €30k, for the four years he spent teaching in the 1970s – however he says he will not access these funds until he retires from politics. FINE GAEL LEADER Enda Kenny has said that he will defer a lump-sum pension payment of €100,000 from his teaching days until after he retires from politics. Kenny will be entitled to an annual pension of at least €30,000 on top of the lump-sum payment – as well as his politician’s salary. When he retires from politics, he will be able to access these funds as well as being entitled to a TD’s pension and ministerial pension. Department of Education figures show that Kenny could have taken reduced retirement benefits in 2004 or waited until he turned 60 for full benefits. Meanwhile, the Fianna Fáil spokesperson on Transport Billy Kelleher says that the matter “raises major issues” concerning comments made by Kenny in recent weeks. “He has already admitting to having taken a quarter of million in severance and pension while still a TD even though he has been campaigning against these payments but tonight’s revelation goes much further,” Kelleher said. Kenny recently said that he had not made “one red cent from teaching in the past 25 years”. 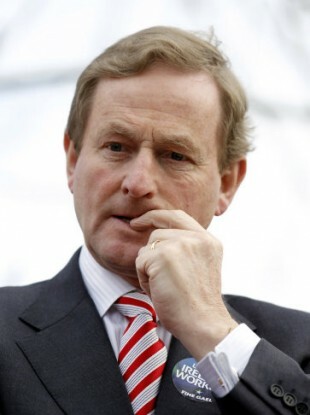 Email “Kenny says he will defer €100k pension lump-sum until he leaves politics”. Feedback on “Kenny says he will defer €100k pension lump-sum until he leaves politics”.